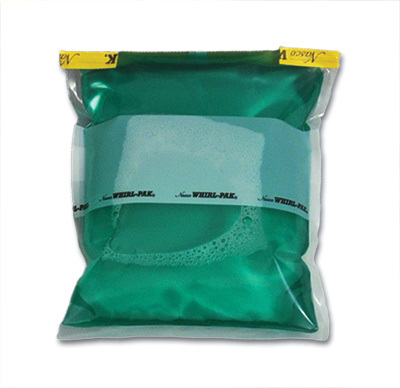 Low density polyethylene bags seal tightly to hold solids or liquids. Tear off perforation at top of bag, pull open with center tabs, insert the sample, fold top over, and close double-wire end tabs to secure. 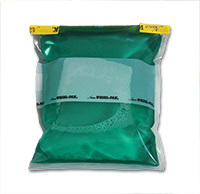 For a moisture and airtight seal, fold bag over wire three times and bend tabs over to lock closed. Meets FDA and USDA specifications for food contact. Clear and Write-on styles available.